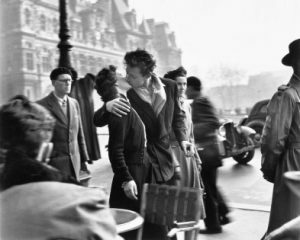 “Le Baiser de l’Hôtel de Ville” captured in front of a Parisian café in 1950, is the iconic photograph that shot Robert Doisneau up to fame. It also contributed to the idea of Paris as la ville de l’amour, or the city of love. The 100 photographs selected for this exhibition show Doisneau’s use of photography as a medium for love, Parisian life and humanity. ►Tuesday: Michael Moore in Trumpland! 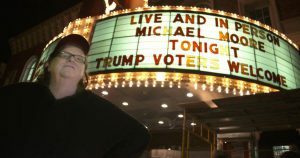 What’s better to do before pulling on an all-nighter for the U.S presidential election than watching the academy-award winning filmmaker and bestselling author Michael Moore’s documentary ‘Michael Moore in Trumpland’? The documentary shows Moore’s comic, critical and satirical analysis of this year’s U.S presidential election. ►Wednesday: The Good Old Good Ones + Leo Forde Live Jazz! Treat yourself to a session of live jazz music at the cozy Donau115. Tonight James Banner takes the double bass, Declan Forde the piano, Leo Forde the guitar. 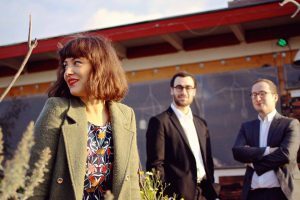 Mirna Bogdanovic’s vocals will give you goosebumps. This gig is not to be missed. 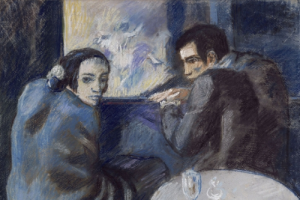 Museum Berggruen’s modern art collection dedicates space to Pablo Picasso. It features more than 120 of his iconic and lesser-known works, which can be admired. Moreover, the works exhibited mark different periods of his artistic career, which enables the audience to observe the changes and developments in his technique and subject matter. While the exhibition’s title only carries Picasso’s name, the exhibition’s high modern period collection also features masterpieces of renowned artists – such as Henri Matisse, Paul Klee, and Alberto Giacometti. 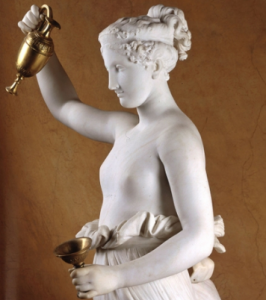 Featuring the works of one of the most influential sculptures of Italian Neoclassicism, Antonio Canova (1747-1822), this exhibition concentrates on the theme he was most passionate about: dance and feminine grace, which he masterfully depicts. The collection includes everything from sketch, to painting to marble sculptures. Many of the masterworks are to be open for the public for the very first time. Take a stroll down Weserstaße on Neukölln Shopping Night. DBR, BERLIN LOVES YOU, and many other stores including record stores, vintage boutiques, fresh fruits and vegetables market and art cafés are all getting together with crazy discounts and surprises. This autumn’s edition of Neukölln Shopping Night will include not only lots of shopping possibilities, but also food, drinks and live music. The opening ceremony of Stadt Land Buch’s literary festival will host the guest of honours from Georgia. The night will begin with a reading by the author Nino Haratishvili from her book “Das achte Leben” (The Eighth Life) followed by a discussion of the notion of unusual destinies in the context of the Georgian-Russian war and revolutions. Lasha Bugadez will then discuss his literary criticism “Literaturexpress”, a satire of today’s literature establishments and institutions. The panel discussion will be moderated by Tilman Spreckelsen.